S Kelly; Croly, Foley, S McGuinness, Burke; R McGuinness (Harris), Griffin, Osam (Mbabazi), Russell; McCarthy, L Kelly (Holt). Ryan; McLoughlin, Martyn, Delaney, Mahon; Fitzpatrick, Kavanagh, McDonnell, Martin; Swan, Grogan. The Supersaints take a two goal cushion into the second leg of the eircom League Cup Final after a thrilling match at the Stadium of Light tonight. However, it was UCD who took the lead, when Ciaran Martyn beat Shay Kelly after a well worked move, after only 8 minutes. The Supersaints weren't long getting back into the game when McCarthy leveled things four minutes later with a tap in, after some terrific work on the left by Liam Kelly. The drama continued when the Saints took the lead, with Colm Foley notching his 7th of the season. Mbabazi Livingstone made his League Cup debut when he replaced Paul Osam at half-time. The Ugandan, just back from international duty, showed how he will be an invaluable asset at Richmond Park. Ger McCarthy ended the first tie as a contest when he scored his 6th goal in the competition after 66 minutes. In difficult conditions, both sides played open, attacking football and chances were spurned at both ends. 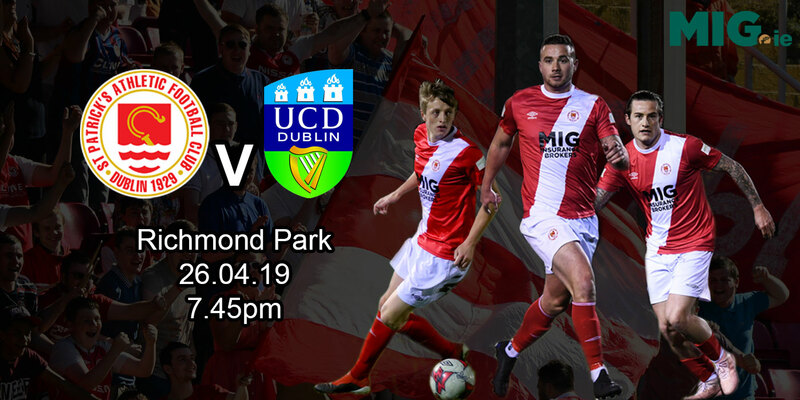 The focus now switches to the second leg which takes place in Belfield Park on Monday 12th February with a 7.45 kick-off. 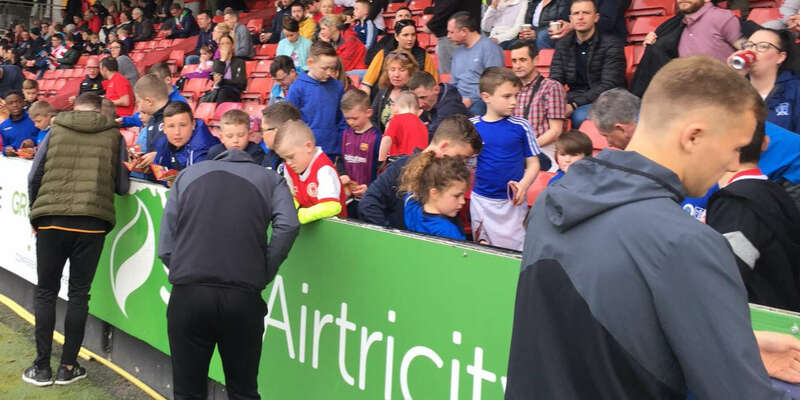 Supersaints boss Pat Dolan will be happy with a two-goal cushion but will also know that Belfield can be a difficult place to visit at any time of the season. 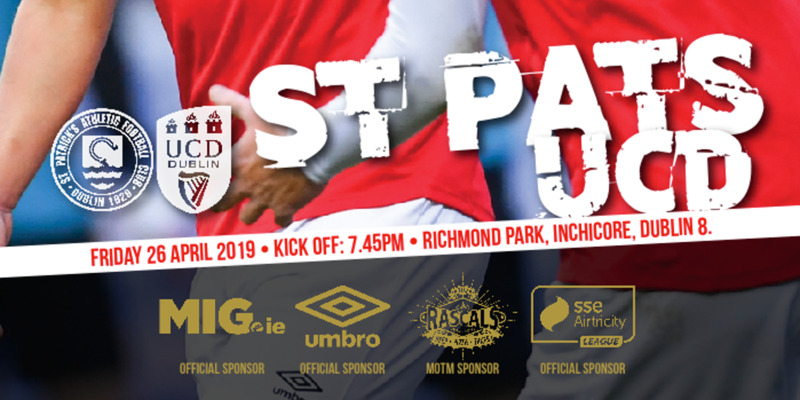 For now, away games in Cork and Longford (FAI Cup) will be the priority for a St Pat's team that has now lost only twice in the last 21 games.